If there's any dream that writers have, it is of how his or her life will change with the publication of that first book. People will respect you. They will see you differently. They may wonder what notes you are jotting down. You will inspire awe and mystery. Someone will call you and want to interview you. They may ask for your opinion, or offer you a free lunch. Your mother in law may treat you with deference. Your children will not sneak away from your car parked outside the school. Oh, really? When my first book was published, I got no respect. I was a 29 year old blonde with two small children and many people all but called me a liar when I told them I had a contract with Zondervan to publish my book. Even when it came out, it didn't get better. Once I watched a friend of mine talking to a stranger who was going on and on about how great that book was. My friend finally interrupted her and said, "Here is the author of that book!" The stranger put her hand on her hip, looked me up and down, and said, "You wrote that book? Well, who helped you?" 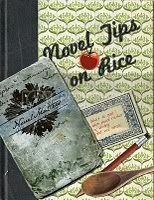 My other NovelMatters ladies: What dreams did you have about how your life would change once your first book was published? Did those dreams come true? Funny you should select this topic for our Roundtable discussion, Latayne. I was thinking about this very thing just today. 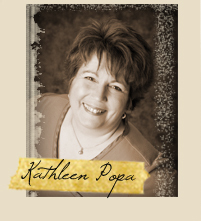 For me, my first published novel came so long after I’d begun to write fiction with the hope of being a well-published novelist—21 years in fact—that I was under no illusion that people would suddenly see me differently. My family and friends knew how long I struggled toward publication, and most everyone outside my immediate family probably thought I’d never achieve it. And when it finally came, it came not with a shout, but with a whimper. I think most people outside my family assumed I had self published. No one expected me to land a contract with a major publisher, certainly not Zondervan (you go, girl! ), and no one expected me to “hit it big.” They didn’t say that in so many words, but the message came through loud and clear. I think it’s the whole “prophet without honor in his own home” thing. Still, they were happy for me that my dream was coming true. 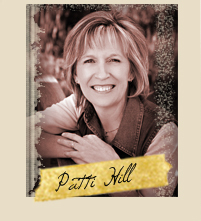 My books sold well among my church family, and it was only after people began to read my work that they began to take me seriously as a writer. That’s been a huge redeeming factor for me. People are taking me more seriously than ever before. And that matters so much. But this was my dream: That my debut novel would be well received by the masses; that they would anxiously await my next novel, and my next. There are a few hundred who fall into that category, but, alas, a few hundred fans will not a best seller make. I had hoped that my “career” would gain momentum with each new release, even if it was slow and steady. But I published with a company that was experimenting with fiction, and when their experiment failed, I was caught in the fallout. The third book in my contract was cancelled, and even as a client of one of the most respected agents in CBA, I’ve been unable to find another publisher. So now I am going the self-publishing route. I’m releasing my next novel, Unraveled, in April, and I’m thrilled to have something new to offer my readers. I will continue to write and persevere, because it’s what I’m meant to do. It’s not my identity. 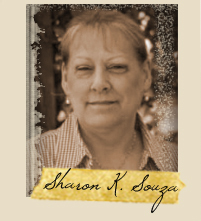 I’m Sharon K. Souza, wife, mother, grandmother, sister, friend, daughter of the Most High God. But it is my calling. I want to do it to the best of my ability, for as long as I can, and I pray that my work accomplishes the purpose God intends for it. I remember the day I learned that multiple publishers were vying for my novel. In between phone calls, I scrubbed toilets and washed floors. I was excited, obviously, but my house was dirty and my children needed me, and I was still too swept up in day to day living to think too much about what being published might mean. I had a great deal to learn about the marketplace. How books were sold, how they were moved, and how selling your novel to a large retailer like Walmart and Costco could actually hurt your books sales. Mostly, I had to learn the hard lesson that CBA isn't where my fiction belongs. The stories I write don't fit with the wonderful CBA readers, nor meet their needs. I had to make the painful decision to move from CBA to the general market. I signed with a wonderful agent in New York, but I didn't tell anyone. What was the point? She now has two of my novels, she is shopping one hard. What do I expect will happen to me when that novel sells? I will continue to put one foot in front of the other, will keep writing novels, keep improving as a writer. That's truly all I know. I've never nursed dreams of wild success (whatever that means), or earning the respect of my peers (I'm way too much of a misfit for anything to really help in that area), or making millions. Some money would be nice, but I've learned that the world writer is often preceded by the word starving for a reason. I don't have any dreams to dash. But I have learned how incredibly difficult publishing is, and how it demands more than it gives back. 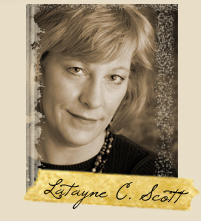 Latayne, my very humble dream was to revolutionize Christian fiction. I haven't quite achieved my goal yet, so I'm rethinking my goals. Perhaps it is enough to write the very best story God has equipped me to write and leave the results to Him. Iím pretty excited about this new direction. I enjoyed your story about the person who asked who helped you write your first book. It reminds me of a day I went shopping with my mom, a born publicist. Mom can turn any conversation to include that I happen to be a published author. The proprietor of the store, a man, raised his eyebrows and asked, is it a cookbook? I thought I would be thinner - don't ask why, since the activities that make one an author pretty much define "sedentary occupation." I also thought getting published would make me more interesting, which is also odd since the activities that make one an author ... well, you know. I did hope that I could tell people I was a writer without risking that skeptical smirk these ladies have already mentioned. But I still rarely tell people I'm a writer, because while they seldom smirk, they tend instead to lavish attention on distinguished author me. No one is more surprised than I am to learn that I don't much like lavish attention. When I sold To Dance In The Desert, I returned home to a big party and a banner over the porch that read, "Author Author." I thought I'd leave that banner up forever, till the first beautiful summer morning when I took my laptop to the porch to work on my edits while the sprinklers ran. I looked up from my work to see cars slowing so the drivers could glance first at the banner and then at me and my laptop, like I was some sort of carnival display. The bits of tape that held the banner are still there. I hoped my books would mean to someone somewhere what certain favorite books have meant to me. I hoped that readers would write to tell me that their sight was clearer, their souls more open, the darkness lifted just a little. It pleases me immensely that I've heard such things from my readers, some of whom are reading this post today. The future I envisioned after selling my first book involved submitting my two-week notice at work and staying home every day to write. I knew it wouldn't happen overnight, but I hoped it would be a reality. So far, it hasn't. Also, I never realized how humbling book signings could be. Sometimes they were so rewarding, and it was always wonderful to meet readers, but there were other times that involved sitting at a table for hours with people walking past avoiding eye contact. 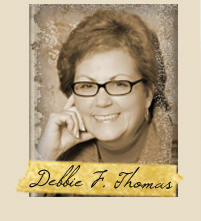 Awkward, to say the least, but not out of the ordinary for an author just starting out. There was much more involved than simply showing up. A successful book signing involved having a build-in audience, which isn't always possible. This was a great round-table! Thank you, Ladies. The closest I can come to a story like this was when I found out that a play I'd written was going to be published. I was a new mom and working in a church. The number one question people asked...seriously..."How much did you make?" When I told them, they all said, "Is that all?" My reason for publishing would be to share something I love, this story. Interviews and fame would be nightmares to me. I already owe the money to an orphanage and I regret they will likely never see it because I am so shy. My writing craft does improve and I pour it all into this one story. Perhaps my descendants will have no fear of second hand fame. Loved this!! I knew not much would change on the home front because my kids are all under 12. BUT I did think that my parents might brag a little more. :P No such luck! Anyway, for silly questions, I've gotten the question 'how much did you pay to get your book published' and 'how did you choose your publisher'. Hm. And ditto on the free books! My favorite response when I say I've got a book coming out? "I get the first copy and make it signed!" Thank you! I appreciated your insights. Every journey is unique, but it's clear that writing novels isn't the easiest job out there (but probably not the most dangerous or smelly). Time and absolute dedication are called for. Especially when it makes no sense to give either. Susie, yes, that's another hated question: "How much did you make?" A bit like asking the mother of a newborn baby, "has he got a job yet?" Henrietta, why can't we be like Emily Dickenson, and lower baskets of muffins out the window to the children in the streets? Oh, and keep our writing a secret till we're dead? Virginia, yes, that's the best thing to say. Bonnie, no, writing doesn't make much sense, does it? I'm glad you do it anyway. What a great reality check! I agree with all the dreams, and can say, "BTDT" to most of the outcomes. In addition, I have had polarized responses to working another job and writing (which of course, is necessary if I want to eat, pay rent, etc.) Some think I must not be qualified for my day job if I am really a writer. Others think I am not qualified to write if I have a day job. And, regretfully, others thought I must not be giving enough time and effort to my full time job since I had enough leisure to write, proof, re-read (x 5), edit, and pay for publish on demand. I had three relatives that bought the book. I had 350 students who thanked me heartily for the bookmarks I gave, said they loved to read, and wondered expectantly if I was going to give them my book for Christmas. After self publishing, I really couldn't even afford a candy cane for each of them. Sigh. It was a really good book. I am glad I wrote it. I also like my current WIP(s). I get so much out of writing and rereading, in terms of emotional, spiritual, mental and physical health. Sorry, my bad. I got home very late from a weekend retreat and held up the group. I helped hold up the group. Bonnie fixed everything. 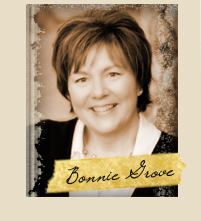 Yay, Bonnie! I've always been a daydreamer. I think at heart I'm quite an impractical person - I know my childhood fantasies of bestsellerdom have faint chance of ever coming true, but hey... it's fun to dream! Along the way, though, my dreams have downsized somewhat.I now daydream most about no longer feeling humiliated when people ask me, "So why isn't your book published yet?" with an expression somewhere between bafflement and pity. The implication makes me squirm. ("Ten years of effort and she's still not published? Mustn't be a very good writer. ")Oh, I know, they're possibly not thinking any such thing - but I still have to work hard not to become defensive whenever this question is asked. Loved these personal glimpses of the tension for each of you between dreams and reality. Karen, hang onto your dreams. They're what keep you going. People mean well when they ask their questions, but after a while you want to head the other way when you see them coming. Publication is validating, that's true, but we're validated in other ways too. Keep at it! Karen, I agree with Sharon. Keep at it! Ten years IS a long time and I totally sympathize, but it's not unusual. When people ask questions they don't understand (can't possibly) the learning curve for writing a novel, the complexity, and subjectivity of the industry. Authors who have been published and later found they couldn't get published again--that happens more often then we'd like to acknowledge. It's hard. There are no short cuts. No easy way. And that's why you need your daydreams. Keep writing, keep improving, keep at it, keep dreaming!